It’s a gorgeous summer day in Minnesota: 80 degrees, lots of sun, humidity well within the comfort range, and a nice breeze. Minnesotans recognize this kind of a day as a gift, one to be enjoyed and cherished, especially after a seemingly unending winter. It’s important to take advantage of this type of gift. Motorcyclists understand that. As I pull up radishes that matured too quickly (no crunchy red roots to munch on! ), I hear them traveling on 35W, about a mile from home. Cruisers, choppers, crotch rockets–they’re all out there, roaring down the freeway, soaking up the sun. It’s a perfect day to take the motorcycle to work, as Ralph did. Or to explore a part of Minnesota you haven’t seen before. 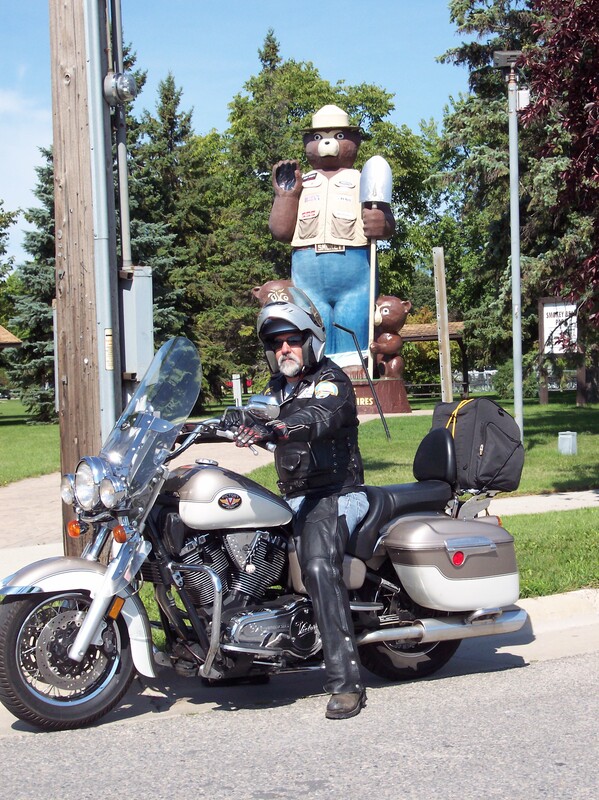 To visit Paul Bunyan in the Brainerd Lakes area, or pose for a photo next to Smokey the Bear in International Falls. It’s a great day to ride along a lake or river and let the breeze off the water cool you down. It’s a great day– a gift– so get out and Ride Minnesota! If you’re not sure where you want to go, buy a copy of my book and choose a route.